1st in TOP 9 of Foodbuzz, on the 28th of September 2011. On the 25th of September I celebrated my birthday. 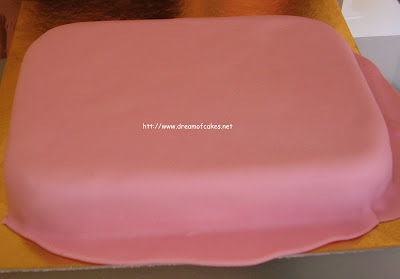 In this post I was thinking to write a ton of things about my feelings and thoughts, but when I sat down to create the post I decided that I just wanted to show my cake. This is the first cake I ever made for me. I am so happy I created something just for me. MY BIRTHDAY CAKE!!!! A suitcase! Does this say anything to you??????? 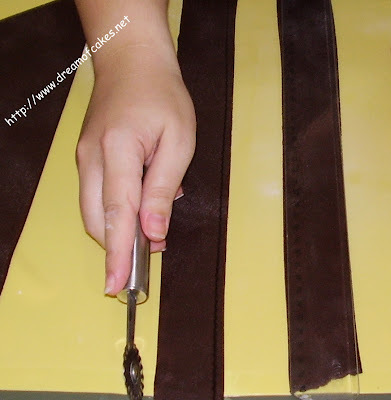 Below you will be able to find the decorating process. Among other ingredients, I used cocoa powder and icing sugar to make the brown fondant. 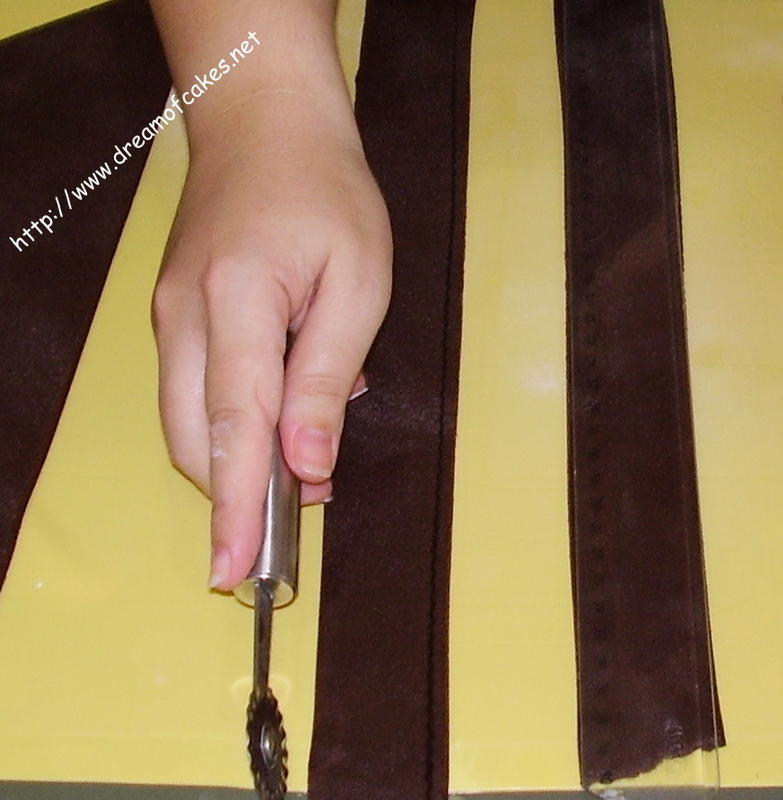 It was not hard to make, and I really enjoyed it. 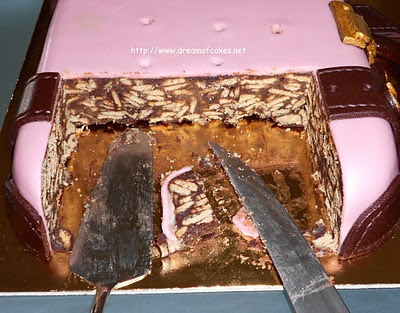 From now on, I decided that each year a special cake will be created from me, for myself with lots of love!!! HAPPY BIRTHDAY!!! The cake looks wonderful, I hope your going on a trip somewhere. very cute cake! and happy birthday. This cake blew me away! Happy birthday Efrychia - May God bless you with more creative years. That's pretty awesome - and I'm curious about the inside of the cake! How did you do that? Eftychia, this is a perfectly executed stunner! I'll say the suitcase says something...it says a travel holiday may be in store for you. Toy you I say Happy Birthday and a job well done on your cake. Brava! OMG, this cake is absolutely beautiful! Happy belated birthday! You did a wonderful job! Happy birthday! I love the cake... too cute. Happy birthday!! I hope you had a great day to go with that beautiful cake! What a beauty! Happy Belated Birthday! :D I love the pin & brown combo & what flavor is your cake? Looks sooooo good. Yesterday was your birthday? Happy Birthday to you! Beautiful cake. Looks like we both celebrated wonderfully. Yeah! Τhe cake looks very beautiful!! You deserve something for yourself and I wish you all the best. Happy birthday! You made yourself a very beautiful cake! Happy birthday Efty! The suitcase is stunning-another wonderful creation. I hope this means that you are planning a vacation soon! Have a great day. Omg this cake came out perfect! I absolutely love it - so cute!! Happy belated birthday, I hope you enjoyed yourself! WOW!!! That is an amazing cake!!! Happy belated! 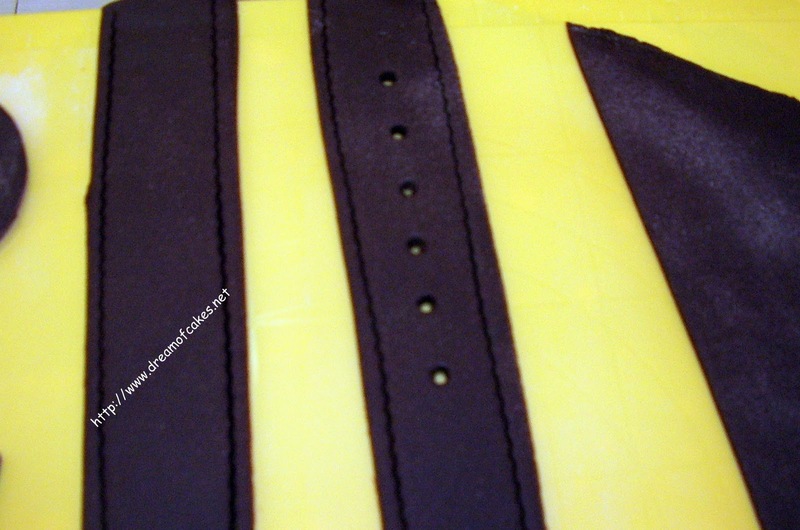 the details on the cake are amazing! happy birthday! 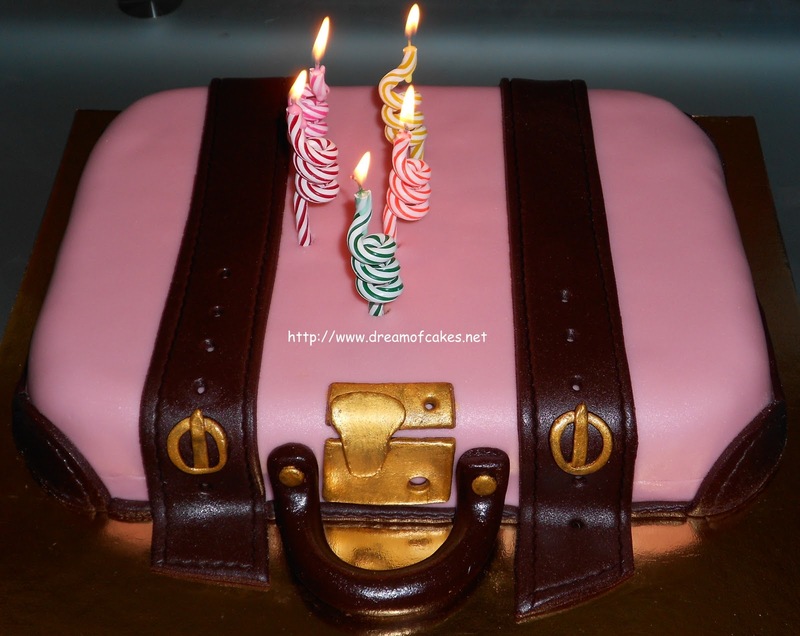 Happy belated b'day eftychia , I just love...love...love the suitcase cake you made , what a perfect job on the cake . 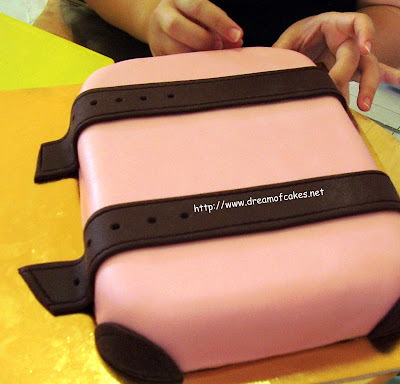 Out of all your cakes , now this is my fav , I have been wanting to try out a suitcase cake for a while now but too lazy to get going ;) . Happy Birthday! This cake is so perfectly! 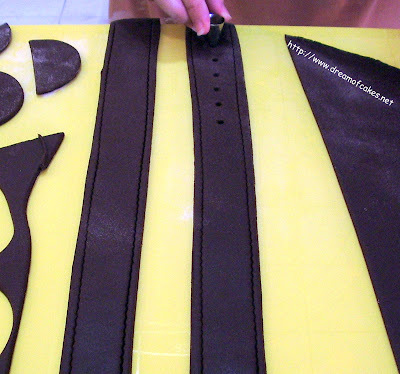 I can't believe how realistic the straps look. Glad you made something for yourself! Happy Birthday - the cake is incredible! Congrats on Top 9! love this! So creative, beautiful and perfect. Bravo sou!!! Wow,that's beyond impressive! I hope you thoroughly enjoyed your own birthday cake. Happy birthday! WOW! 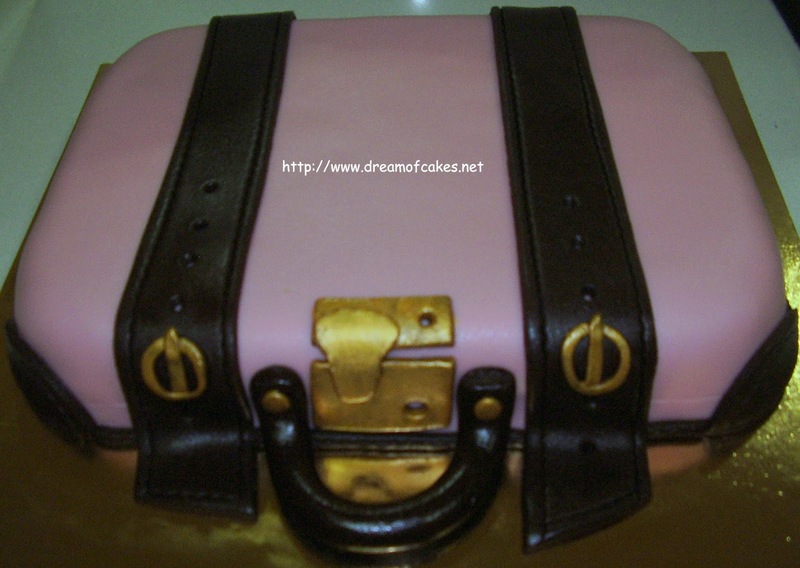 That is gorgeous - doesn't look like cake - looks like a real suitcase. Do you secretly want to go on a fabulous holiday away from all the responsibilities? (smile) Happy birthday week! We always celebrate our birthday and birthday week. That way it is even more special!! I hope you had a very Happy Birthday!!! Lovely cake, you deserve it! If your plans include traveling to Boston, let me know, & we'll have cake!! Don't eat the desserts you make (SO hard)...but I do try samples. Exercise 5-7 days a week. I try to get on the treadmill nearly every day...and go to yoga 2-3 times a week. 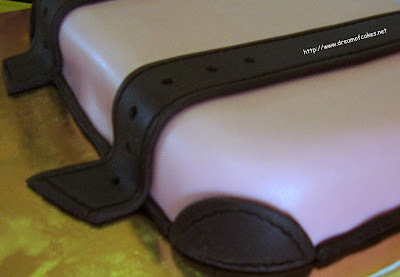 This cake is stunning - I absolutely love the colors pink and brown together! Congrats on Top ! I am way to late to say Happy Birthday but I still want to wish you lots of happiness, peace and good health. The cake looks like real suitcase. Are you trying to tell us that you are leaving on a jetplane? LOL! Happy belated birthday. Sorry for the late greetings & wish everything nice & more lovely cakes to come. I'm soo looking forward for your upcoming creations. 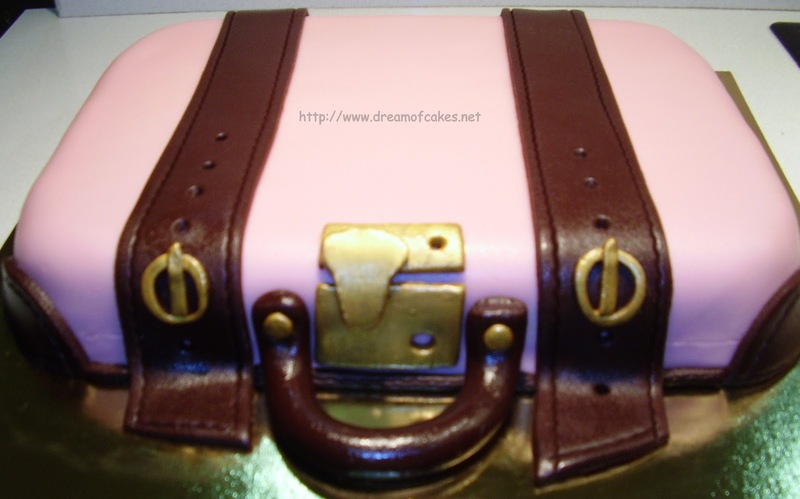 This suitcase cake look sooo real... I'm speechless. Amazing! That suitcase looks amazing! So perfect. The gold buckle is my favorite part. What a beautiful cake--love the details! Happy belated birthday! You are an amazing cake artist - your work is so intricate! Just awesome! Beautiful work! My birthday is coming up next month and I'm starting to think about what I want. 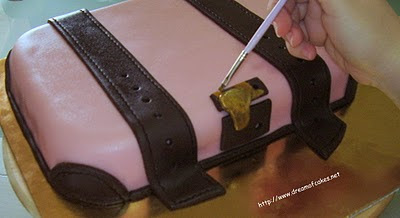 A birthday cake is always a must even though it's just hubby and I.
Wow, lovely cake, very clean work! I have decided that this year, for my own birthday, I will also create a stunning cake. I sort of ignore my own birthday because it just seems like needless work, but what better way to celebrate YOU than with a beautiful cake? This looks amazing!! Keep up the good work! this fabulous should try to make a cake but with the design of a classic Chanel purse.